Up-and-coming Buxton band to play at home of The Beatles | SHUSH! The Stand, an indie rock and roll band from Buxton, Derbyshire are due to perform at ‘the most famous club in the world’, realising a lifelong dream for lead singer Ged Potts. The band play at The Cavern Club in Liverpool on Friday 25th March as part of the celebrations marking the 50th anniversary since The Beatles first performed there. Already established in their hometown, regularly taking coaches full of supporters to gigs, The Stand have been making inroads into the music scenes of Manchester, Sheffield and now Liverpool. Lead singer and founding member alongside former guitarist Gary Pritchard, Ged Potts, 32, is understandably delighted at the chance to play at The Cavern. 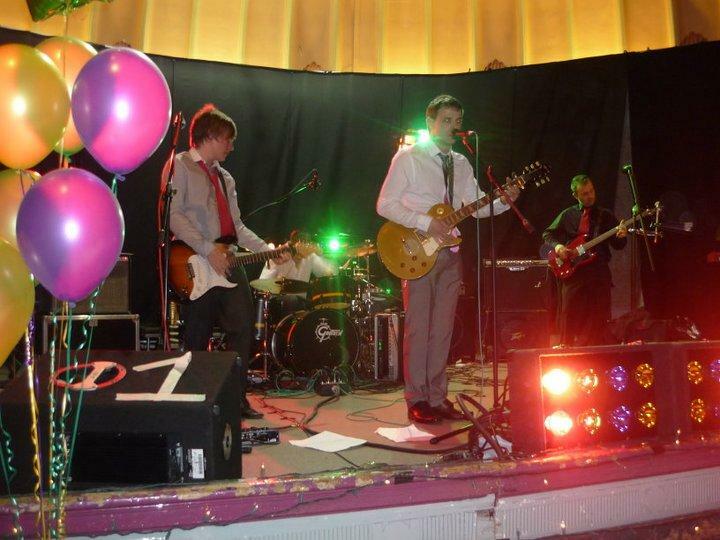 The Stand, formed in 2008, are a four-piece, comprising of lead singer and rhythm guitarist Ged, drummer Jon Stone and guitarists Mark Whibberley and Charlie Willcox. 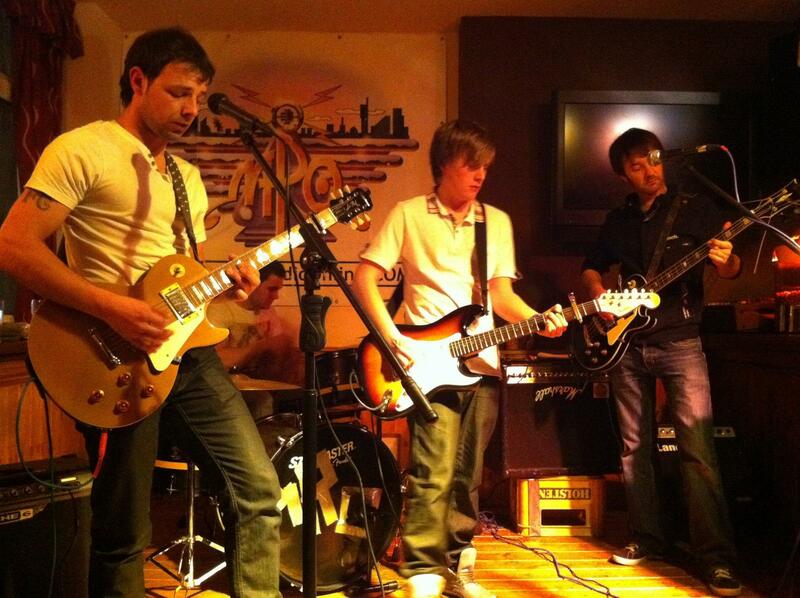 Lead singer Ged Potts (left), Jon Stone on drums, lead guitarist Charlie Willcox (centre) and bass guitarist Mark Whibberley (right). The original line-up also included Rick Cox on bass guitar, Jon joined as drummer some nine months later after meeting former member Gary on a night out. Jon, 20, started drumming at secondary school and is still grateful to his former headteacher at Buxton Community School, Alan Kelly, for his help with drum lessons. 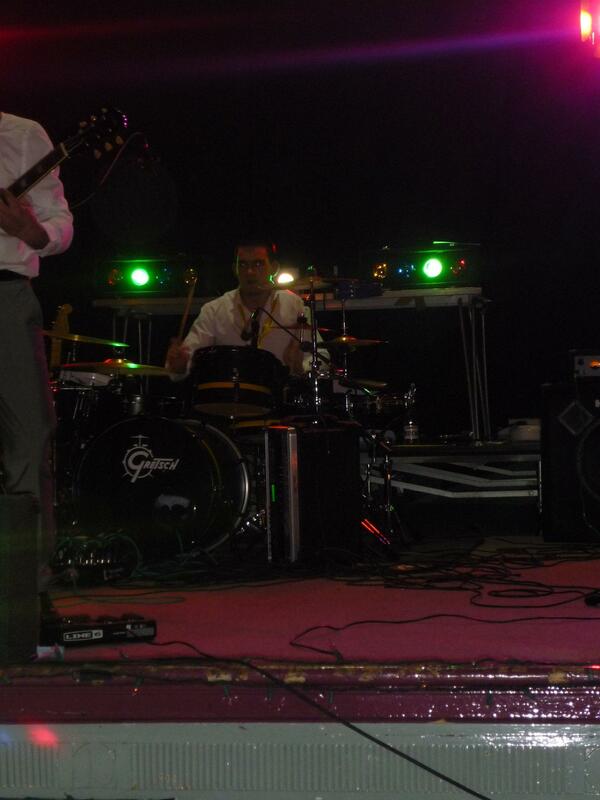 The Stand's drummer Jon Stone. 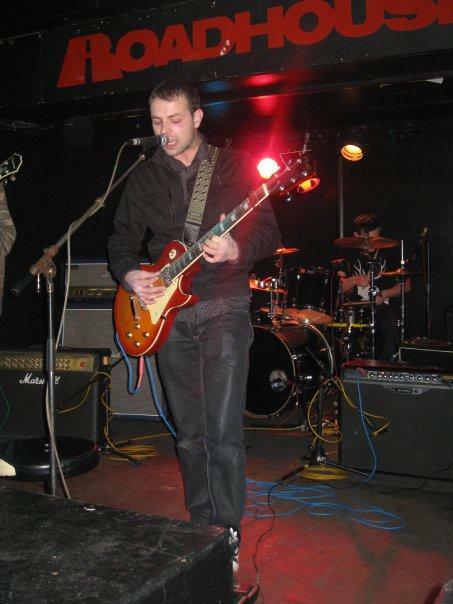 Bass guitarist Mark, 36, joined The Stand having previously played in a covers band with Ged and has an active role in promoting the band as well as performing. 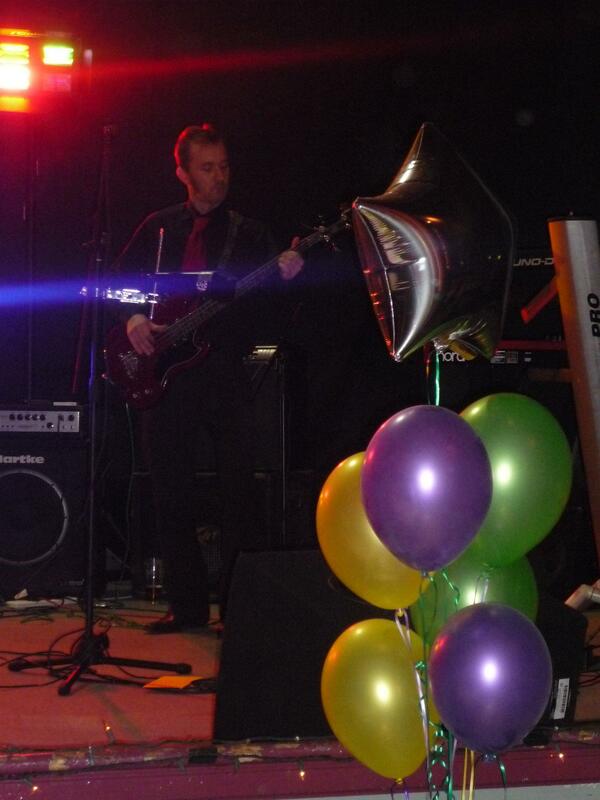 Mark Whibberley on bass guitar who also plays a key role in the management of the band. The youngest member Charlie, 19, joined the band around three months ago and has his own idea why the band have built up such a following. The Stand were winners of the Band In A Box competition at Manchester’s Ruby Lounge in January, winning a photo and video profile shoot in Liverpool. Their track Raise A Flag, a tribute to troops in warzones all over the world, is available on iTunes at 79p with all proceeds going to the Help For Heroes charity. The band members all have jobs outside of The Stand, Ged and Mark are both painter and decorators, Jon is an industrial cleaner at a quarry, and Charlie works at WHSmith. 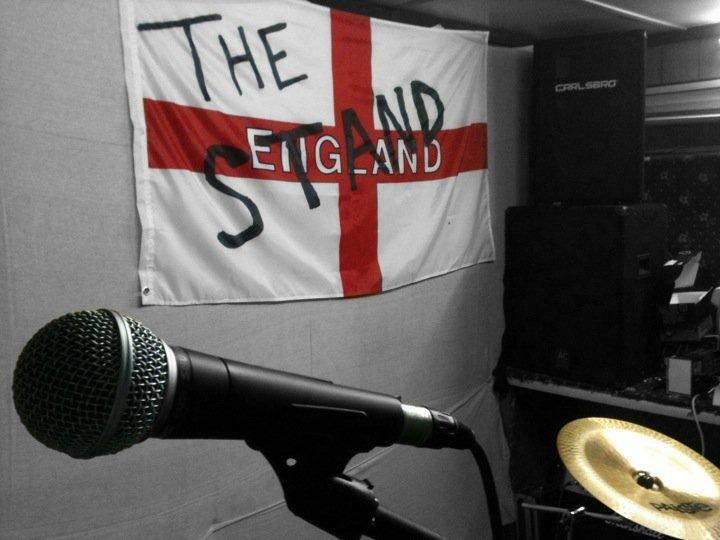 Currently juggling band practice and gigging with their daily jobs, The Stand are eager to return to the studio in the near future. Lead singer Ged at the Roadhouse, Manchester. The band practice at least twice a week with Oasis high on a list of musical influences, and they are hopeful that a record deal is close. The Stand performing at the Mardi Gras Ball at the Octagon in Buxton's Pavilion Gardens. Nicely written Chris. Very professional. Didn’t know the group were getting so big. (The Stand I mean, not The Beatles).